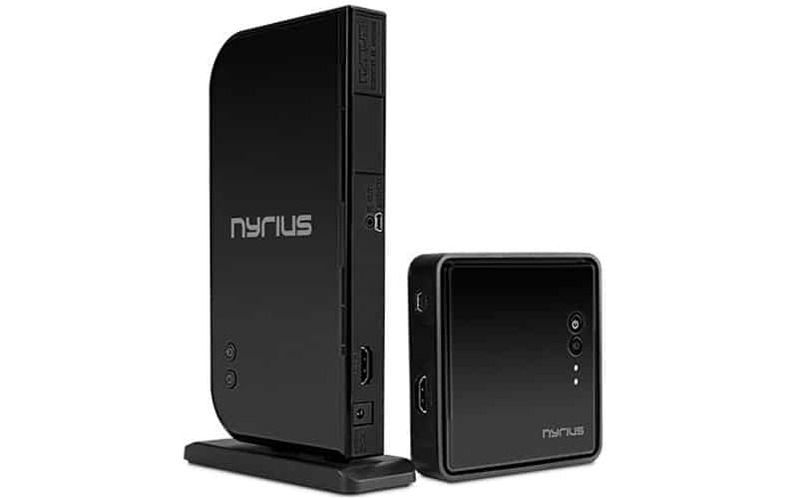 Nyrius ARIES: Wireless HDMI Transmitter For Xbox One or PS4 | Nerd Much? Nothing is worse than when you want to play some video games after a long day at work only to come home to your kids watching Spongebob Squarepants on the living room TV. Bummer. 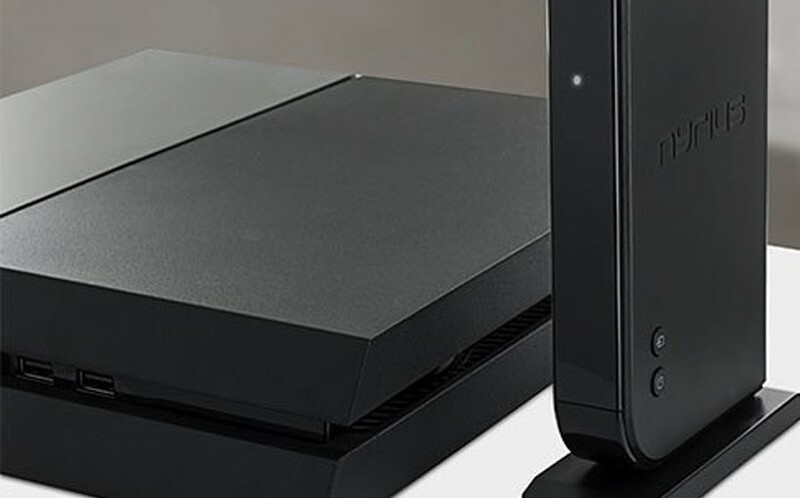 Having two Xbox Ones or PS4s would cost roughly $800. But if you already have a second television somewhere in your house, there’s a much better solution: wirelessly sending the video feed from your gaming console to another TV in your house. Introducing the Nyrius Aries, a small HDMI transmitter (about the size of a standard router) and a receiver (about the size of a small stack of Post-it notes). You simply plug your Xbox One, PS4, Wii U or any other HDMI device into the transmitter, plug the receiver into whatever other TV you have in your house, and you will be able to play your games with zero latency on a second TV. I know you’re thinking that there “has to be some lag” or some sort — there’s not! It’ll also wirelessly transmits your gaming desktop PC to a TV with ease, working as an HDMI splitter of sorts, which is huge if you want the power of a desktop gaming computer but the comfort of a couch to play on. The Nyrius Aries wireless HDMI transmitter works very well, and it’s a must-have video game accessory, especially for parents that can never get a crack at their own living room TV. It is on sale via Amazon now for $199.96. Check out more super cool gadgets here at Nerd Much?.